Gift and WrapPandoraMother’s Day 2017: What Gift, How Much & What Do They Really Want? Mother’s Day is the one day of the year that you can show your mum your appreciation for all that she does (okay, maybe her birthday too!). Considering her likes, passions and hobbies can be a great place to start when thinking of gift ideas – as a personal gift is bound to win those much needed brownie points with her! Your mum deserves the best, and here at Gift and Wrap we wanted to find out what people are likely to get for their mums, how much they tend to spend on her, and most importantly, we wanted to find out what she really wants. We surveyed 100 people and asked them about their plans for Mother’s Day, the results definitely took us by surprise but how do your plans measure up? It’s time to find out what gift mum would really want and how much you should you spend on her! What gift should you buy her this year & how much do you spend? Firstly, it’s all about coming up with gift ideas to suit her personal likes and tastes. Something that says ‘thank you for your support’ or ‘I love you’ can mean different things to many people. Your mum may prefer sentimental gifts that she can keep and treasure forever, whilst some mums are content to receive their favourite chocolates. Why not treat her to both to cover all bases? To find out exactly what people are most likely to buy for Mother’s Day 2017, we asked our survey respondents exactly what was on their shopping lists! The results showed that the age old favourites, flowers (46.25%) and jewellery (30%), were more likely to be the chosen gift, than a box of chocolates, or simply just a card. Surprisingly, 50% of people were keen to buy their mum something that she specifically asked for, which takes away the surprise element but also ensures that she’s getting something she wants! At Gift And Wrap, we know that many people treat other women in their life to a gift or a card on Mother’s Day. Whilst 82.50% of people who took part in our survey said they just buy for their mum, 11% buy for their grandmother, 2.5% for their stepmother or aunt respectively, and 1% for their sister. Setting a budget should really happen before considering gift options and we wanted to uncover how much money our lovely sons and daughters were likely to spend on their mum. Our survey uncovered that 36% of people would spend between £20-30. That would cover a substantial bouquet of flowers or an impressive piece of jewellery without breaking the bank. A generous 16% were more likely to spend £35 or over on their Mother’s Day gift. We also asked our respondents whether they were more likely to purchase a Mother’s Day gift online or in person, with 56.25% preferring to order online. Ordering online can be a great incentive due to the convenience of being able to browse and purchase a gift at the click of a button, knowing it will be delivered on time for the special day. We wanted to know if any additional online incentives available on a site would encourage them to make a purchase, and 71% said that they would be swayed by free delivery. 50% of people felt that a discount code being offered on site would also entice them to click ‘Add to Basket’, with complimentary gift wrapping also influencing 32% of people’s online shopping decision. Another important aspect of our survey was finding out where people were actually buying their gifts, and 57% of our respondents admitted that they were unsure whether they would go to a major retailer or a small business for their present. 29% of our respondents were pulled towards shopping from the familiarity of a major retailer, whilst 14% would choose to support a small business. What does your mum really want for Mother’s Day, and does she expect you to blow your budget? As the centre of the Mother’s Day attention, it’s only fair to ask mums what they’d prefer to receive on their special day. Whether they’d love to receive a simple gesture, or something more lavish, each will have their own individual gift preferences. So, as a part of our survey we also asked mums for their input on gifts they’d be happy to receive and how much they’d expect their child to spend on them. 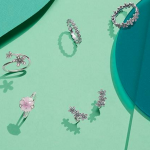 The majority of mums said that they would love to receive a thoughtful piece of jewellery, however they would expect their offspring to spend no more than £20 on them. Flowers and chocolates received low scores (1% and 3% respectively), surprisingly a significant amount of mums stated that they would be happy with just a card for Mother’s Day, taking second place in our gift wishlist. Socks, paper shredder & out of date chocolates: what’s the worst gift you’ve ever given or received? We’re all guilty of grabbing a last minute gift, whether it’s due to lack of time or lack of options available. Just for fun, we asked our respondents to reveal the absolute worst or funniest gift they had given or received for Mother’s Day. Out of date chocolates appeared to be the worst culprit, so make sure you check the ‘best before’ dates before you wrap them up! If we’ve ruined your plan to present the special lady in your life with a brand new pair of socks, perhaps you need a little extra help to find the perfect gift. Keep reading to find our top picks for Mother’s Day 2017! If, like our survey respondents, you’re looking for women’s jewellery from an online retailer which offers free delivery, then Gift And Wrap should be your go-to choice. Our PANDORA Mother’s Day Collection 2017 offers a great range of women’s jewellery perfect for giving as a gift this Mother’s Day. Treat her to a new PANDORA charm to add to her PANDORA charm bracelet as a special reminder of your love and appreciation. For a subtle token, we love the limited edition Precious Heart charm which features a 14ct gold heart on each side with silver enamel and a halo of sparkling stones. 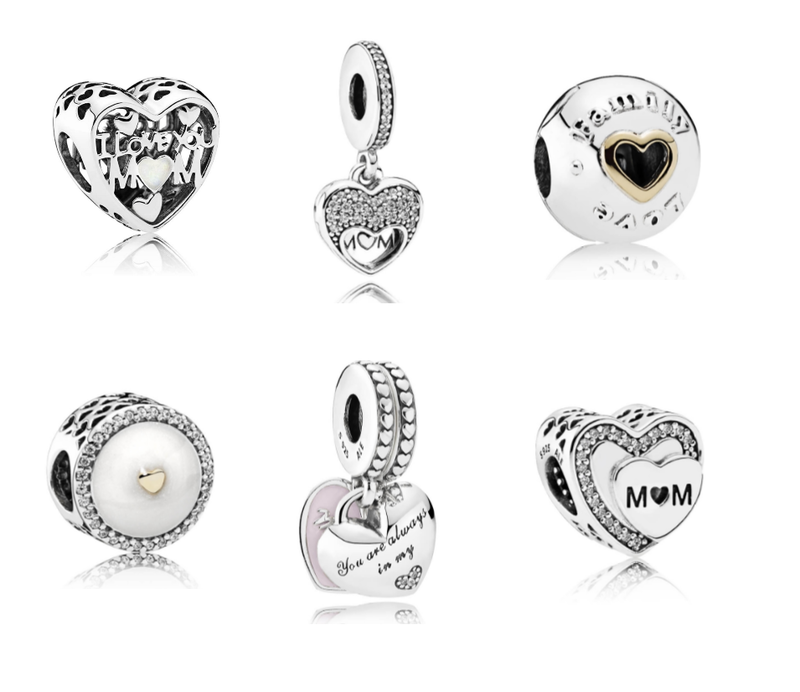 Say your Mother’s Day message with the PANDORA Mother and Daughter Hearts pendant charm which offers a two part sterling silver and pink enamel charm with a simple yet loving ‘You are always in my heart’ message. 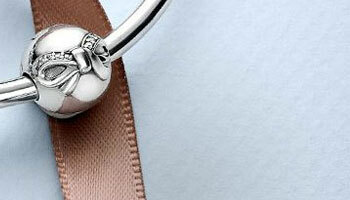 A wonderful charm can carry so much meaning and make excellent gifts. Also in the PANDORA Mother’s Day Collection 2017 is a beautiful jewellery set which includes an elegant necklace and matching earrings. The Luminous Knot gift set comprises of white crystal pearls paired with delicate cubic zirconia, set in sterling silver. With this jewellery Mother’s Day gift she’s able to wear both together for a coordinated look, or wear individually to suit her mood. If she doesn’t own a PANDORA bracelet, then Mother’s Day is the perfect occasion to introduce her to the world of PANDORA with Gift And Wrap. 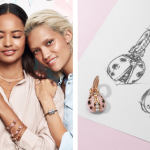 The bracelets included in the special PANDORA Mother’s Day collection includes an elegant bangle style bracelet, or a classic PANDORA charm bracelet, complete with a ‘Mum’ charm. 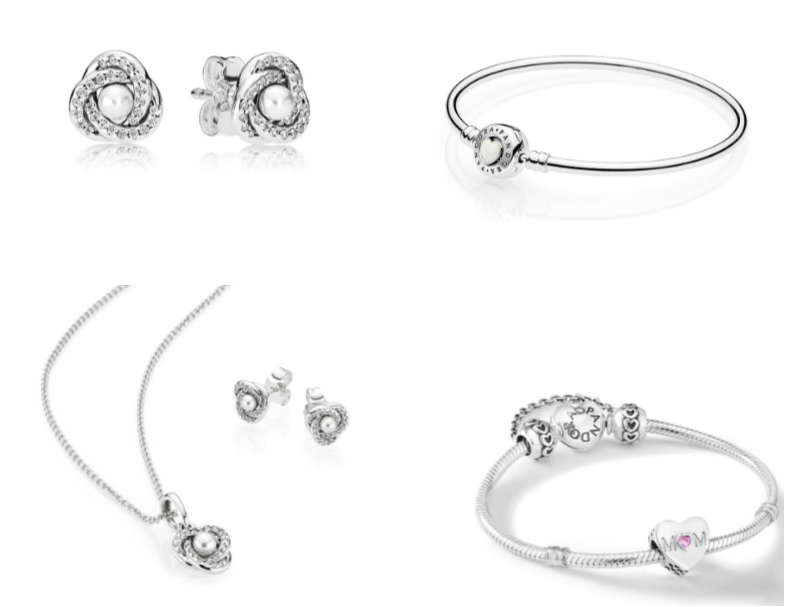 Buy your mum a treat from PANDORA from Gift And Wrap and it’ll come wrapped and ready to surprise her with in an official PANDORA jewellery box and gift bag. Perfect! So, what will you be buying your mum this Mother’s Day? 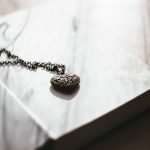 If you’re still in need of more inspiration, be sure to take a look at our Mother’s Day Jewellery Gift Guide for more beautiful jewellery.